Named Mike, the donkey smiles for the camera after rescue workers save him from drowning in muddy water. While floods across the UK and Ireland have claimed lives and caused untold damage to property, this is one story with a happy ending just in time for Christmas. Animal Heaven Animal Rescue posted a desperate plea for help to Facebook on Sunday for assistance in saving a donkey who was stuck in mud near Kilorglin, Ireland, with floodwaters rising around him. A local resident, named Mike Fleming, offered his small boat and his help, and along with a group of volunteers, set off to try to tow the stranded animal to safety. 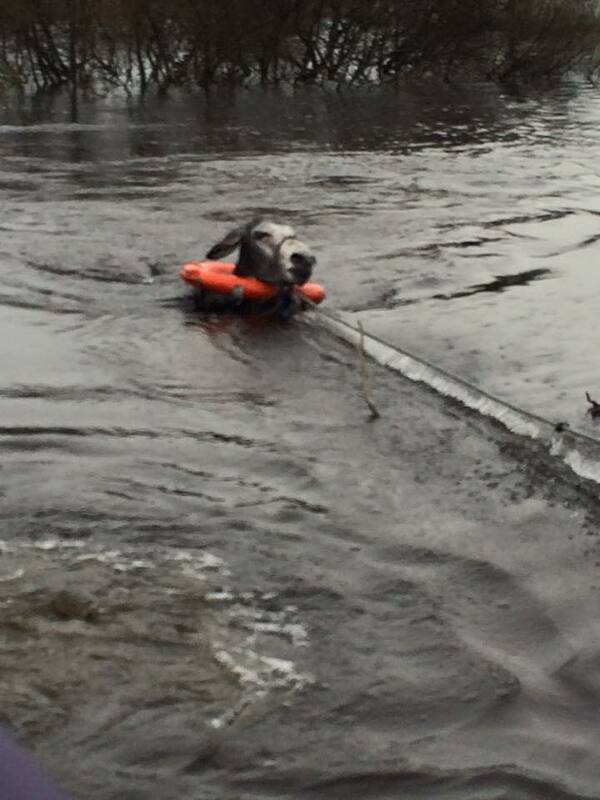 Although they weren’t sure they had the necessary equipment or ability to make the rescue, after some brave work, the team managed to get the animal to the safety of the shore. And they were rewarded for their efforts with a grin from ear to ear. The team decided the rescued donkey must have a name, so they christened him Mike after the man with the boat. “So we’ve named him Mike,” the group posted. “There could be no other name. “I want the world to thank this amazing guy! 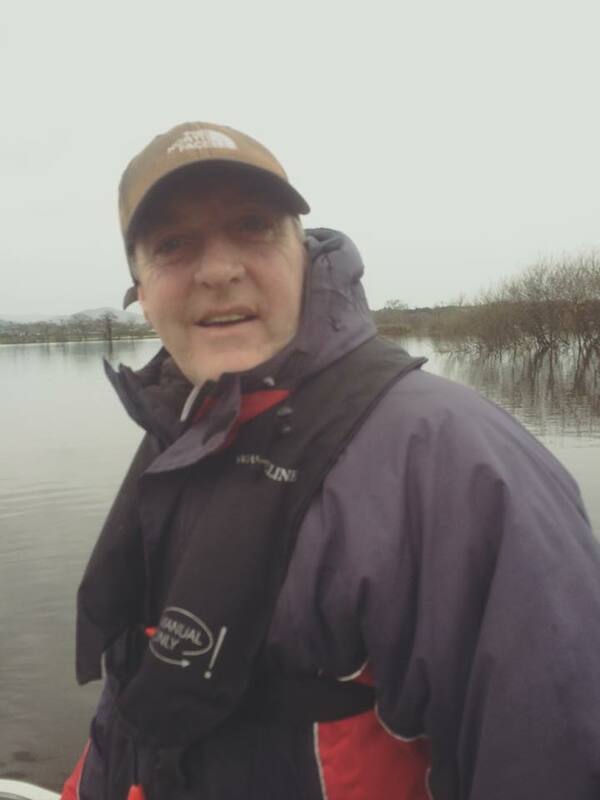 Mike Fleming of the Killorglin rowing club. Picture this. He was my last chance and phone call to beg for a boat. He listened and he drove down to meet me. I knew straight away he had the guts to do it. No negative attitude just come on girl we’ll give it a go. He braved such dangerous water to help us save him. 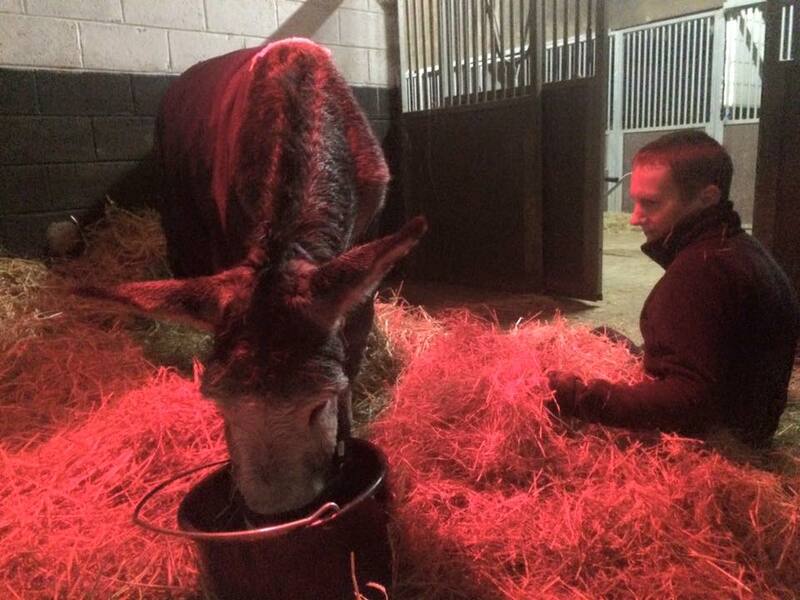 Mike the donkey is now safely tucked away in a cosy manger getting plenty of love and attention, with the group posting regular updates on his condition for Mike’s many fans. “He is now dried with towels, eating a hot mash, all cozy and warm and our vet has seen him and started him on antibiotics to prevent pneumonia. He has a small bit of fluid in one lung but our vet said he will recover. All he needs is loads of tlc. “Id (sic) like to also say thanks to Sue who was with us today doing all the ground work on land to guide us to him, running for petrol for the boat and for all the great photos she took. But she also drove my jeep with a trailer for the first time and she was fantastic. No fear just got on with it. “We loved every moment saving Mike and I think I speak for all of us, he was so worth the danger just to see his little face on dry land. Since the rescue, Mike has become something of an internet sensation, and the group continues to post updates about Mike’s progress on their Facebook page. “Mike snacking away, building up his strength, on another dreadful night outside. Its (sic) lovely to see a donkey so famous coming so close to Christmas. I think his smile made it right round the world by now, lighting it up with glowing hearts. He has settled well and is loving the 5 star treatment his only concern is his neighbour, a talking bird ( you can hear shouting in the background ) he is fascinated. Other then (sic) that…. He is loving being spoiled. The boat that saved Mike. The rescue team managed to find a boat after a plea on their Facebook page. Approaching the stranded donkey, they decided to tow him to shore using a life ring. The donkey had a long way to go to make it to shore. Once he got the hang of swimming, he began to make his own way. Exhausted after the ordeal, the donkey made it safely to shore. The team decided they’d name the donkey Mike, and Mike gave the camera a big smile. Mike was happy to be safe and on dry land. Mike, quite the ham, was happy to pose with his rescue team. Mike has plenty of fans, including the group who rescued him. Mike spends some time bonding with his rescuer. Mike Fleming, for whom Mike the donkey was named. Mike gets warm and cosy in a manger. Mike like his stall and all the attention he’s getting. Mike snacking away, building up his strength, on another dreadful night outside. Its lovely to see a donkey so famous coming so close to Christmas.